Anju Beaute Texture shampoo is suitable for all long and semi-long haired breeds where added coat volume is needed. It conditions and beautifies the coat, adding a fluffy and full appearance. Anju Beaute Creme Rinse after shampoo balm smooths, nourishes and detangles the coat. It is idealy used before combing, and makes grooming easier. It is suitable for all breeds and coat types, and for damaged coats. Anju Beaute Optimum Care after shampoo balm smooths and preserves the volume and texture of the coat, and adds even more shine. It is suitable for all breeds and coat types. 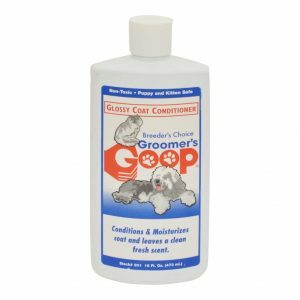 Groomer’s Goop Coat Conditioner will moisturise and deeply condition the coat, leaving it healthy and shiny, with a clean fresh scent. 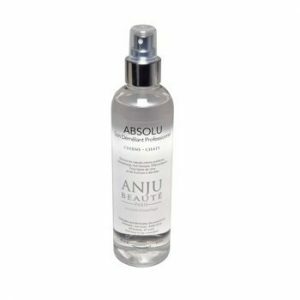 Anju Beate Absolu is antistatic and non-toxic, It untangles the worst of knots, and adds shine to the coat. It is suitable for all breeds and coat types where untangling is needed. Anju Beaute Shining care adds softness and brightness to the coat and makes grooming easier. It attracts the light and intensifies reflections. It is suitable for all breeds and any length of coat.